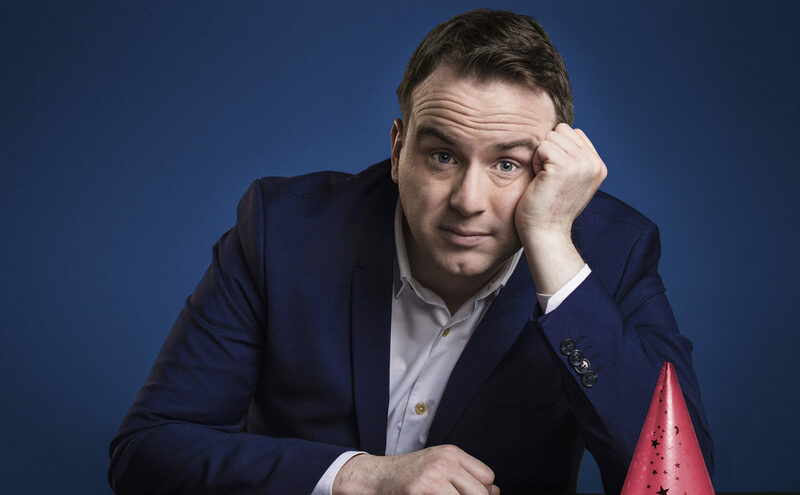 IMPRESSIONIST Matt Forde says he’s willing to take his life into his hands during his new stand-up show. Following a sold-out run at the Edinburgh Fringe, A Show Hastily Rewritten in Light of Recent Events – Again! will return north of the border with dates in Glasgow and Edinburgh. 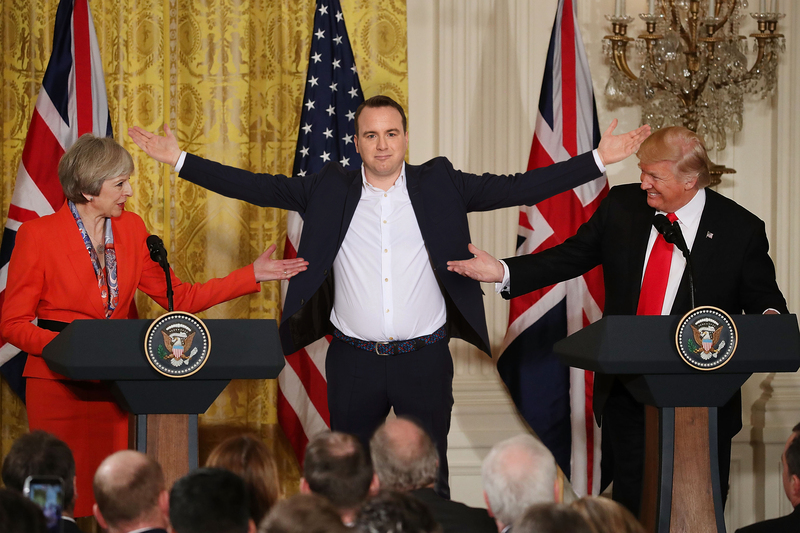 In it, the Nottingham-born political comedian will mimic some top political heavyweights and while he’s mastered Donald Trump and Boris Johnson, he admits his take on Nicola Sturgeon is “more physical than verbal”. “I love being an Englishman doing Scottish impressions, living on the edge with the threat of getting bricked outside,” he laughs. Concerns over brickings aside, Matt says he considers trips to Scotland to be one of the highlights of touring. “Edinburgh’s a very special place,” he tells The Sunday Post. “It’s the most beautiful city in the UK and during the festival it’s just magnificent. The people are great too, it’s one of my favourite places to gig. “I can’t wait for Glasgow too, it has an atmosphere like very few places ever have, a real energy on the streets. He’s warned that no politician is safe – they’ll all get “an equal whacking”. “Scottish Tories get it, Scottish Labour get it, SNP get it, Yes and No get it,” he explains, revealing that he finds the whole Scottish political scene compelling. “It’s impressively volatile,” he says. “You can chart from 2014 to last year where you had this referendum which, compared to the EU referendum, was a very decisive result. Matt, a former Labour Party adviser, doesn’t envy the SNP’s dilemma over a second independence referendum at all. “I find the conundrum that the SNP are in fascinating,” he says. “They’re probably about as popular as they’re ever going to be, do they push for a second referendum and risk that or is this the best chance they’ll ever have? The characters within Scottish politics are rich picking for satire, according to Matt. He says: “There’s an English leader of Scottish Labour which is hilarious! “Then there’s Ruth Davidson and her personal popularity detoxifying the Tories in Scotland and the fact that the Union is still a big factor for people is interesting in a way that south of the border that Brexit is a priority. In the wider world of politics Matt, who also hosts Dave series Unspun, reckons there’s been a fundamental change since he was working under Tony Blair. “In terms of party politics, when I was in the Labour party it was very much an established close to the centre, centre-left professional election winning machine. “Now it’s a mass membership party in a very different way, a very different point on the political compass, and rules that apply to the leader are very different now. “Jeremy Corbyn can say or do things that Blair or Brown would never have done. What I thought the rules of politics were – they’ve changed. One thing that definitely remains, Matt reckons, is the need for comedy. “It’s vital – but I would say that… I’ve got a vested interest,” he laughs. And does it ever get difficult to satirise what’s going on when it’s already so absurd?